Back for our 5th year in 2019, MADE Hoops 'The Warmup' has grown into the unquestioned #1 grassroots season-opening tournament in America. Taking place in Northwest Arkansas, the tournament fields over 150 teams from all over the Midwest, Southeast & Southwest regions. 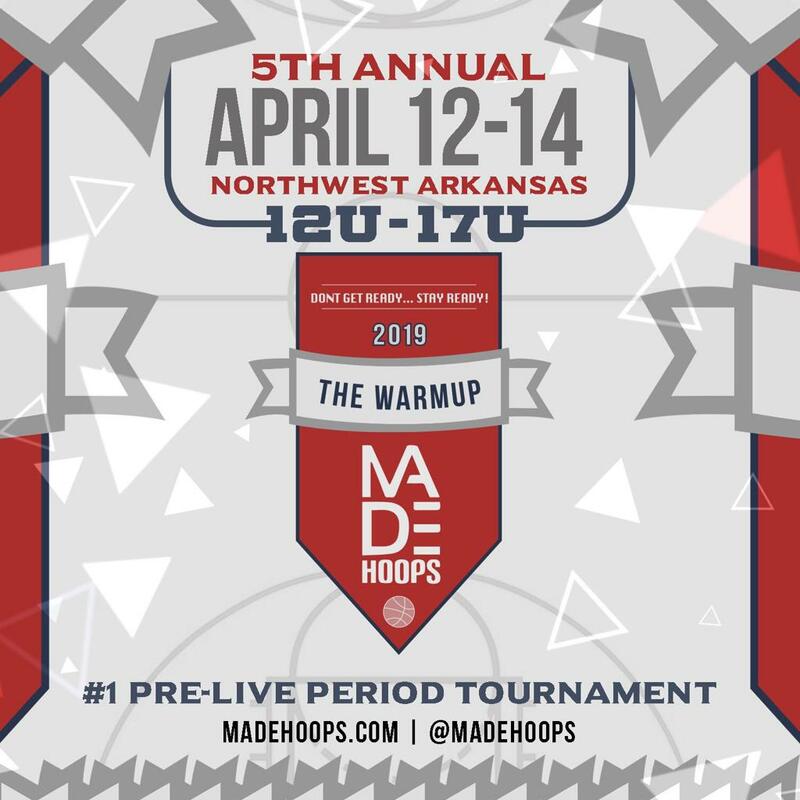 Taking place on April 12th-14th, the event will have divisions from 12U-17U. Open your AAU season playing against elite competition in front of national media. The choice is simple. Just make sure you come ready!